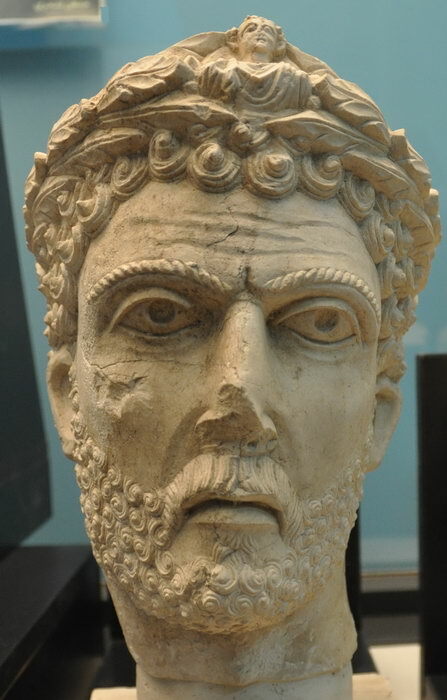 A bust from the Palmyra Museum, likely representing Odenaethus a ruler of Palmyra in the second half of the 3rd century who fought a successful campaign against Persia. Heritage is under attack today. In Syria, Iraq, Libya and Yemen, we see the brutal and deliberate destruction of heritage on an unprecedented scale. This is a call for action . . . Our response to ignorance and criminal stupidity, must also have a cultural dimension: knowledge, the sharing of Islam’s millennial learning and wisdom, sharing the message of Palmyra, the ‘Venice of the Sands’, that is like a bridge between the legacies of ancient Greece and Rome, the Persian Empire and the Arab culture from ancient times to the present. . . 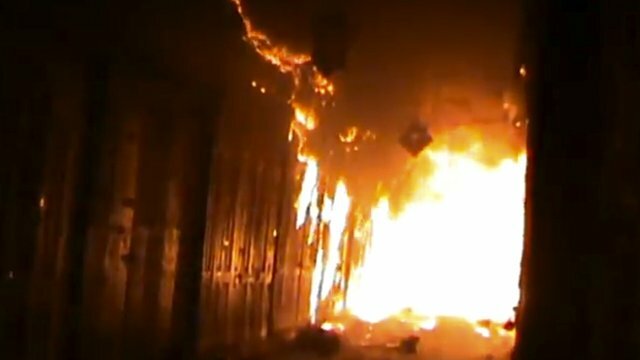 Intentional attacks against buildings dedicated to religion, education, art, science or charitable purposes and historic monuments may amount to war crimes . . . So it may amount to war crimes, yet the International Criminal Court has no good opening to bring charges even if it wanted to. That’s because neither Syria nor Iraq has signed on to the ICC convention, and the individuals who commit this destruction are not high-profile enough it seems to warrant an ICC investigation and prosecution anyway. And so the end result is there is an accountability gap for this destruction. [T]he legal bases for prosecuting individuals for violations of the 1954 Hague Convention and the World Heritage Convention are largely absent. Those responsible may be prosecuted under the Syrian Antiquities Law, a law that was presumably approved independently of those conventions and hence present a number of caveats explained above. If the Chautauqua Blueprint is successful, it would turn a blind eye to three major causes of damage (viz. looting, use for military purposes, attacks against sites that constitute military objectives) allowing those behind this vicious circle of violations to “walk away.” This is especially frustrating if one takes into consideration that the driving force behind the adoption of conventional laws for the protection of cultural property has mostly been motivated by a desire to hold individuals accountable. The accountability gap shown in the case of Syria should serve those involved in the implementation of cultural heritage laws (e.g., UNESCO, the World Heritage Committee at the international level) as a warning that the 2003 UNESCO Declaration, or any other instrument before that, did not manage to have consequences for Bamiyan or beyond. So if there is one thing that can be done, it may be to consider reforms to the current laws to hold those who destroy heritage individually accountable. But that change would have little impact on the current conflict in Syria. 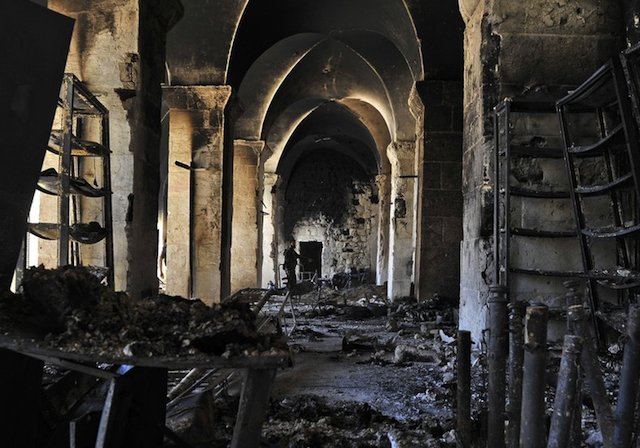 DAVID RISING Associated Press, UN: Islamic State Destruction of Heritage Sites a War Crime, ABC News (Jun. 29, 2015), http://abcnews.go.com/International/wireStory/islamic-state-destruction-heritage-sites-war-crime-32100589. United Nations News Service Section, UN News – As World Heritage Committee opens session, UNESCO urges protection of sites targeted for destruction, UN News Service Section (Jun. 28, 2015), http://www.un.org/apps/news/story.asp?NewsID=51279. Sangwon Yoon, Islamic State Is Selling Looted Art Online for Needed Cash, Bloomberg.com, http://www.bloomberg.com/news/articles/2015-06-28/isis-has-new-cash-cow-art-loot-it-s-peddling-on-ebay-facebook. Derek Fincham, Display of Islamic Art Exposes Terrorists’ Lie, Houston Chronicle, Apr. 3, 2015, http://www.chron.com/opinion/outlook/article/Fincham-Display-of-Islamic-art-exposes-6178172.php. Marina Lostal, Syria’s World Cultural Heritage and Individual Criminal Responsibility, 2015 International Review of Law 3 (2015). Author Derek FinchamPosted on January 18, 2010 Categories UncategorizedTags Black Hills, Indigenous Rights, UNESCO1 Comment on Are the Black Hills Cultural Property?